JetBlue will axe five routes so it can free up aircraft for new service from Washington Reagan National. The routes that JetBlue will cut are West Palm Beach-San Juan, last flight on June 16; San Francisco-Austin, June 16; Oakland-Washington Dulles, June 16; Long Beach, Calif.-Washington Dulles, Sept. 2; and Buffalo, N.Y.-Fort Myers, Fla. (seasonal service that will not resume in November). “Closing routes is not an easy decision, but the aircraft made available in this case will allow us to take advantage of growth opportunities at DCA made possible by our recent slot acquisition from American,” JetBlue said in a statement. 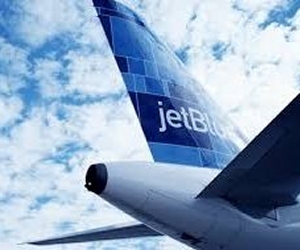 Customers booked on the flights being cut will have the option for a refund or to be accommodated on alternate or connecting JetBlue itineraries. The carrier also will issue a $50 credit to those customers. (Travel Weekly).